After Paris it’s now time for Washington to have its own bike sharing program. A new bike-sharing venture in Washington called SmartBike DC will allow people to rent bicycles using only a membership card, Washington Transportation Department official Jim Sebastian said the new public venture will have 10 locations throughout the district and will have 120 bicycles available for rent, The New York Times reported Sunday. The automated rental program comes thanks to a deal with advertiser Clear Channel Outdoor, which will have advertising rights to all district bus shelters. 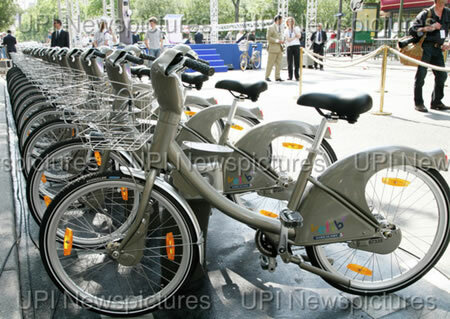 Sebastian told the Times if the program enjoys similar success as other plans in Paris and Barcelona, the number of available bikes could one day reach 1,000. Sebastian, who is in charge of the district’s bicycle and pedestrian programs, expects the bike-sharing program to minimize transportation problems in the nation’s capital.